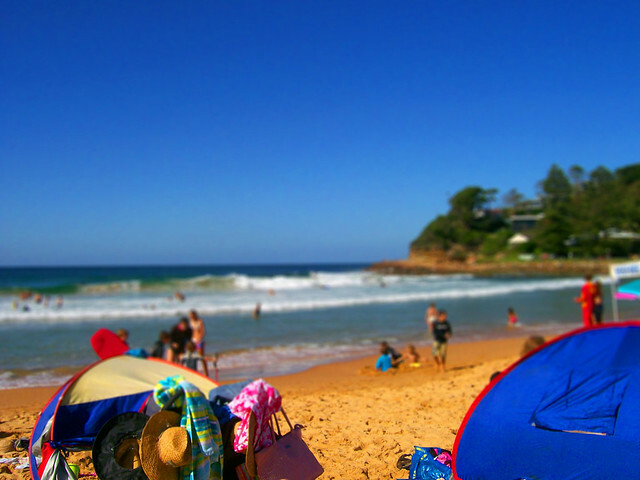 Just 95 km north of Sydney is the delightful Avoca Beach. Maintaining a small beachside town feel, it is an ideal getaway destination for couples and families. The main beach features magnificent rocky headlands at each end, with a choice of main surf or protected swimming for kids at the southern end in the natural lagoon. There is a surf school for those wanting to master the art of riding a surfboard on long rolling waves over the clear water. The beach is patrolled for your safety. Fishermen delight at the easily accessible rock ledges and perfect beach fishing offered. Locally there is a vibrant restaurant scene offering a range of local and international cuisines. There is also a boutique picture theatre – an amazing experience! Avoca Lake offers tranquil kayaking from the local hire, and spots for kids to wet a line in safety. Holiday and hotel accommodation in Avoca Beach is well-catered for with a range of resorts and beach houses.